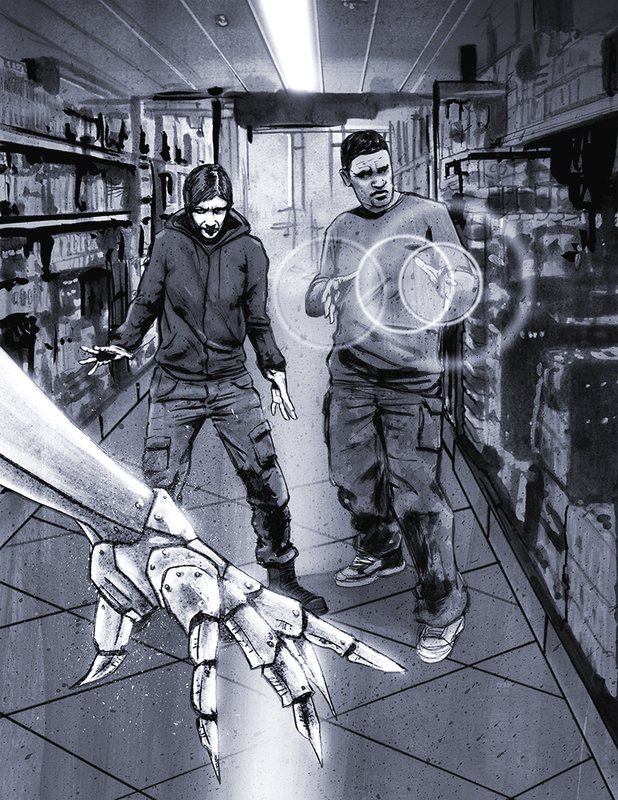 At the end of last week, we finished up the Kickstarter campaign for the new Trinity Continuum core book, and the Trinity Continuum: Aeon book. 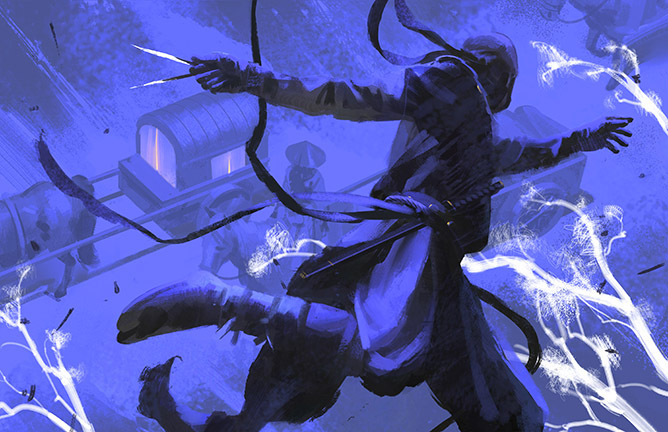 We pretty much unlocked a Stretch Goal a day, and built out two PDFs for backers; an Aeon Aexpansion containing added info on more cool parts of the TC:Aeon setting, and In Media Res, a collection of adventure ideas for the TC core modern-day time period. 4- With this Kickstarter, we have revealed to our community the last of the first slate of projects that came out of our initial plans for the worlds Onyx Path would publish. We, of course, have a whole bunch of new projects coming up that we’re thrilled to be starting on, or finalizing the plans for, but getting the three game-lines I bought from CCP (Scion, Scarred Lands, and the Trinity Universe) recreated and available in one form or the other for our community is a fine indicator of how we’ve thrived these last 6 years. (Heavy sigh of relief as it was never, and remains never, a slam-dunk that folks would dig what we’re doing). 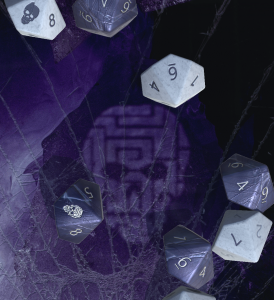 And while we’ve been bringing the Storypath System and our own game-lines to life, we haven’t forgotten our Exalted 3rd, Chronicles of Darkness, and World of Darkness projects. In fact, I just sent a raft of project pitches over to White Wolf for approval. Some of them are projects that fans of those lines have heard of already (or at least the rumors of) and a couple are brand new. More on those when we hear back from WW and can move on to outlining and getting writers a writin’. 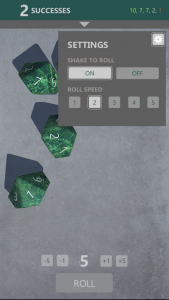 One thing we did not have in mind when we started was the ability to put together formats that creators in our community could use to make their own projects. I’m referring of course to Community Content programs, and our first is the one for Pugmire called Canis Minor that I announced a month and a half, give or take, ago. We already have seven PDF projects up there, all either pay what you want or below $2.00 and it’s clear that the writers were just all having a blast exploring the world of Pugmire. 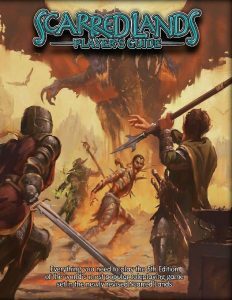 A character creation guide, heroes and villains, a bunch of adventures, the list goes on. And you can add to it if you have a yen to join our happy band of creators – the guidelines and formats are easy to follow, and you’ll retain half the earnings. Plus, Eddy Webb is a really nice guy and loves reading how folks have taken his ideas and run with them! We’re finishing up the initial stages of our Scarred Lands Community Content site, and then we’ll be moving on to Scion, and we’re not done yet. 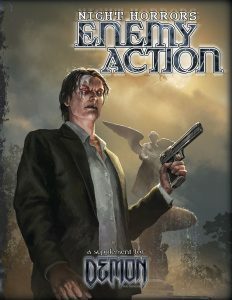 Finally, I just want to briefly touch base on the Chronicles of Darkness‘s Night Horrors series of books – particularly since the one for Demon: The Descent, Night Horrors: Enemy Action, goes on sale this Wednesday. 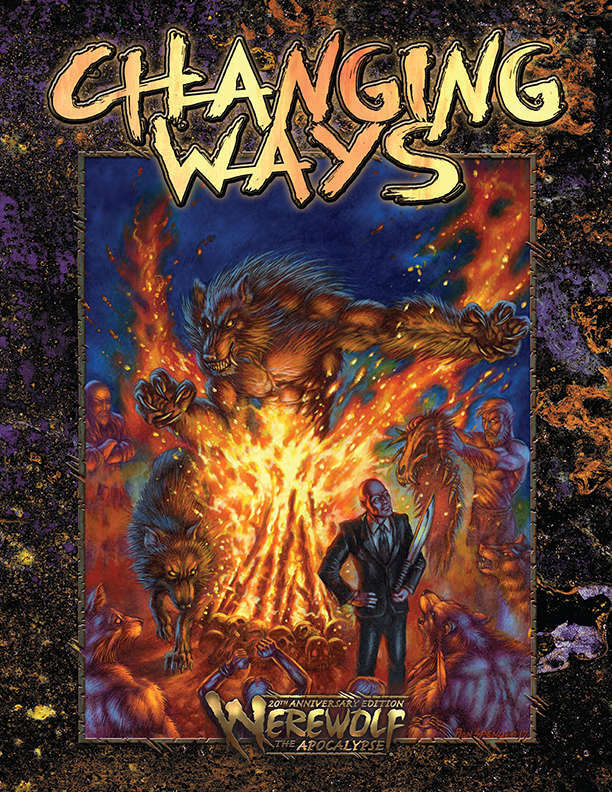 Long-time members of our community will recall that the Night Horrors “brand” was a sort of cross-line series of projects for the “new World of Darkness”, and were designed for one line but usable by all of the others. 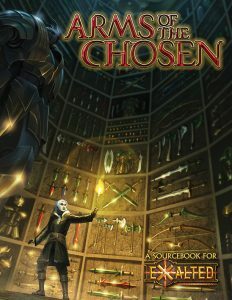 With the advent of the Chronicles of Darkness, it made sense to me to bring back this popular series of antagonist books for the 2nd edition rules. Plus, the way the books present discrete write-ups for the various “baddies” is a great way for us to try out the new writers we’ve been looking to bring aboard for the last couple of years. If there’s a problem with a write-up, it’s just one creature, and not a huge word count to replace. So go ahead and check out the blurbs in The Blurbs below and on DriveThru and see if there might not be some antagonists that could fit into your home chronicle, or be used to throw your players a surprise, even if that particular Night Horrors book isn’t from a line you’d normally play. 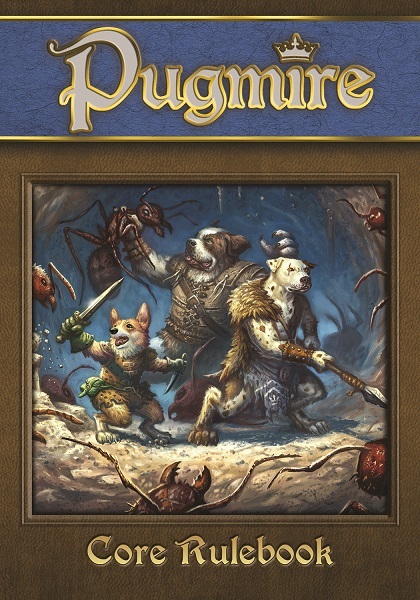 Also available on DTRPG is the physical book PoD version of the Pugmire Core Rulebook itself! We unveil Vampire: The Requiem 2e‘s Half-Damned as PDF and PoD versions on DTRPG.com! 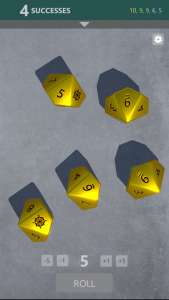 Fetch Quest – KS art contracted. Taking some time this week to tweak the card design. Scarred Lands Community Content –Figuring out the covers and the Slarecian Vault Logo. Cavaliers of Mars – Laying out while new art coming in. Book of Freeholds – Maggie has 2nd proof. 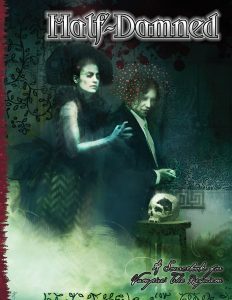 Changeling: the Dreaming 20th Anniversary Edition (Changeling: the Dreaming 20th Anniversary Edition) – Books and Screens created and preparing to ship from printer to fulfillment shipper. Pugmire Artisan Cards – PoD proofs on the way. Pugmire Shepherd Cards – PoD proofs on the way. Scion Dice Packaging – At press. Ring of Spiragos – PoD proofs on their way. 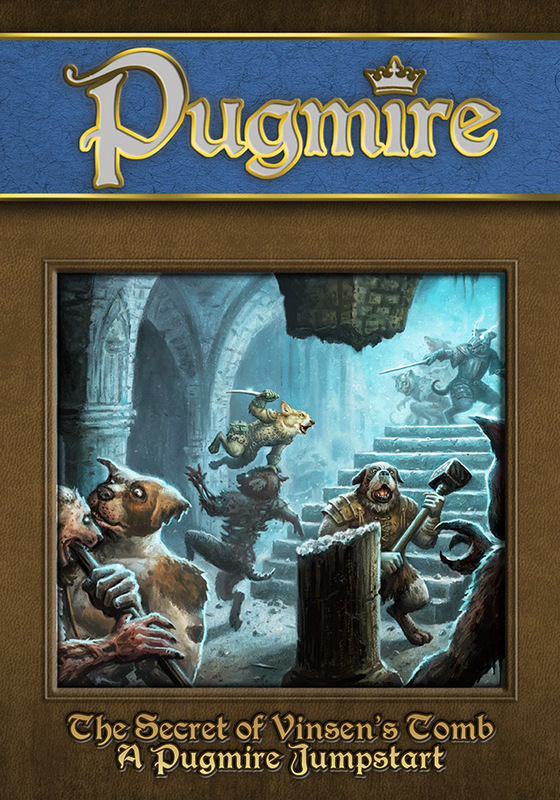 Pugmire Vinsen’s Tomb – PoD proofs on the way. 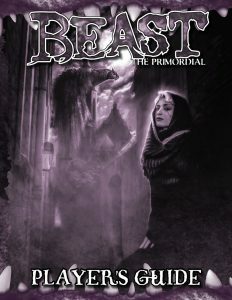 Beast PG – Advance PDF on sale at DTRPG.com this Wednesday. DtD Enemy Action – Advance PDF on sale at DTRPG.com this Wednesday. 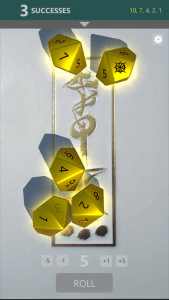 ◀ GM’s Day Sale 2018 is Live! AHHHH! The Beast PG is almost here! I can hardly contain my excitement! And right after I spent….let’s not talk about how much on the GM’s Day Sale too. :p I’m still so excited for this. Obcasus seems to mean something to the effect of “ruin” in Latin unless my Google-Fu is too weak, and I’m already in love with the idea of creating a minor version of one’s Horror. I can’t wait to bring all this into my campaign! My initial guess was that they’re the rites mentioned in the Beast core-book that enable the Begotten to establish Family Ties with conspiracy-tier hunters. That definition seems to argue against it, but doesn’t absolutely rule it out. This is possible! That would be neat to see rules for. On the subject of what Obcasus rites might be, I do believe at some point it was mentioned we’d see something about Cults of the Dark Mother so perhaps they tie into that somehow? That Dragon Blooded illustration looks great! Looking forward to that kickstarter! Will we get notification when C20 ships or will it just show up one day? We will let you know the shipping is happening, and the fulfillment shipper should directly notify you. Fair warning, though, in the past, I’ve received my book before the shipper notified me. If location matters, I’m near Washington, DC. Suggestion that might sound crazy but I think might have merit. Trinity Continuum Aberrant & Trinity Continuum Adventure at the same time. Now I know that might seem like a silly idea, but my thought process on the matter is that while there is some fanbase overlap, it’s not universal. There are plenty of people who like one or the other. The idea in my head is that by running the Kickstarters and production together, you might get some cross-sales that otherwise wouldn’t happen. And if you don’t, if one of them is weaker than the other it, the stronger of the two could bootstrap the other. 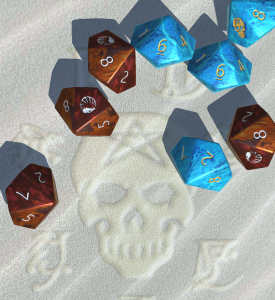 Also, the 1st Edition PDF bundles for those two gamelines would both be significantly smaller than Aeon’s was. Slapping them together could make them seem like a firmer package. I agree with you. I’m an Aberrant fan, but absolutely LOVE the Adventure! setting. Getting them both out there at the same time would really draw in fans from both eras, and would personally bring a smile to my face. The only downside would be that it would probably mean a longer wait for both manuscripts to be finished, but well worth it I feel. Unless the projects are linked in some way, like Scion Origin and Hero, or Trinity Continuum’s core rules being needed for TC: Aeon, a multi-book KS fails to focus on any of the projects, so I try and avoid those. I’ll consider your idea, though. 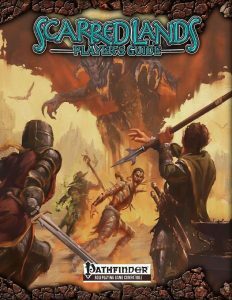 Adventure wouldn’t even have a 1E bundle, it’s just a single book after all. Beast PG! And Enemy Action! I had a feeling we’d get those two at the same time, woohoo! After Shattered Dreams, you did it again. Just needed to pop in and say AMAZING work on Changing Ways, which I just picked up in Drivethrus GM day sale. The art in W20 has always been good, but this is just eye poppingly good stuff, and not just the Ron Spencer pieces. Fantastic job in the art department guys, the pics just ooze interesting tales, and art is where every book makes its first impression, looking forward to reading a lot. Thank you so much! Mirthful Mike juggles a lot of projects with a lot of different visual styles, and does it all so amazingly well that most folks don’t notice, so it is great to hear when a particular book nails it so completely for you. I expect so. 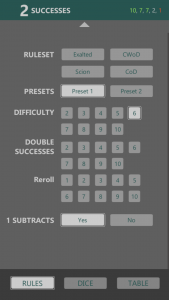 Canis Minor is our test subject, so figure we’ll pretty much follow through with how it’s set up with a few tweaks. I just wanted to say, as a backer of the Trinity kickstarter, I am really happy to see that its success showed enough merit to continue the line. 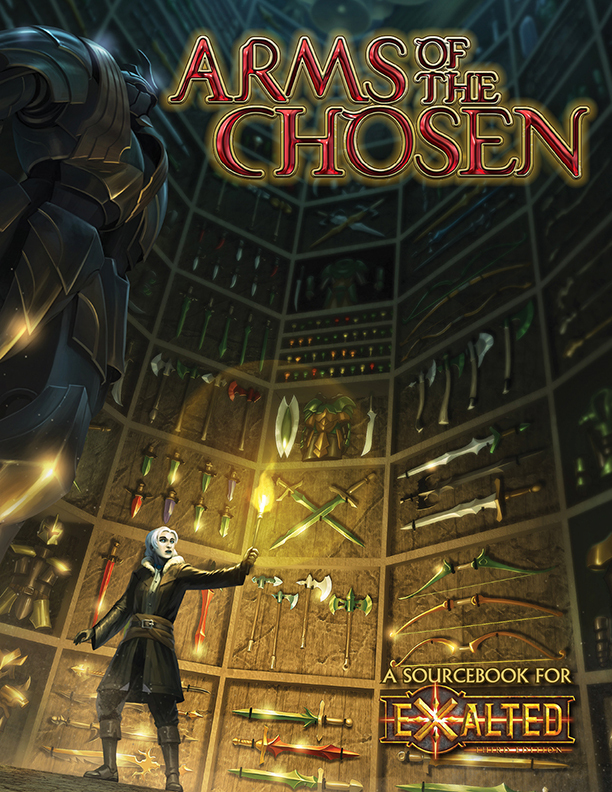 I also really appreciated that the previews of the book were available during the kickstarter. As a backer of another rebooted line that was ultimately disappointed in the resulting product, not because it was poorly done or low quality but rather because it went in a direction I did not enjoy, I was a bit nervous about where this might go and it was nice to be able to back it knowing I would be able to back out if the previews were not what I was looking for. Keep up the good work. My only regret is not getting on board with Onyx Path sooner, despite being a White Wolf fan boy from way back. Added note for clarity the mentioned line was from a different company entirely. Glad you made it to us! I agree, in that I’ve backed projects and you sort of have to accept that there will be changes, which I’m OK with having had years of putting these sorts of projects together myself, but it can be rough when you’re not used to that. 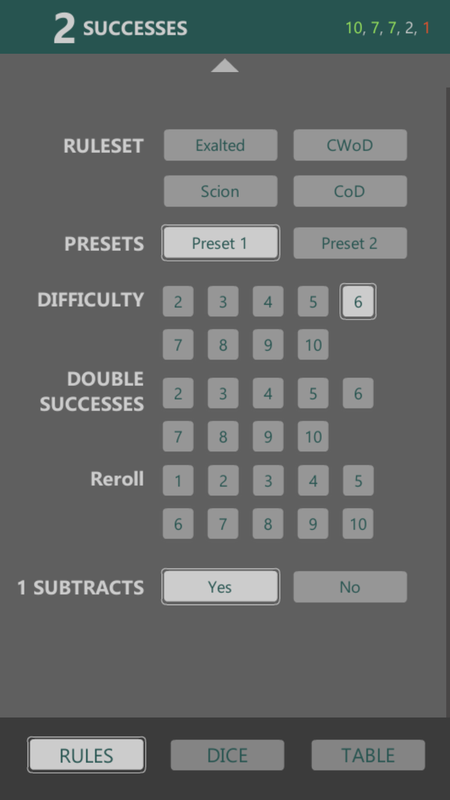 So that is one of the reasons we are looking to have the completed text done for most projects we KS. So, could we see Deviant, The contagion Chronicles, and Aberrant this year or is that simply to much to ask for? I’d guess next year, but I could be wrong about Deviant. We’ve only just given Trinity Continuum: Aberrant the green light, so we’re at the very beginning of the process of making that book. 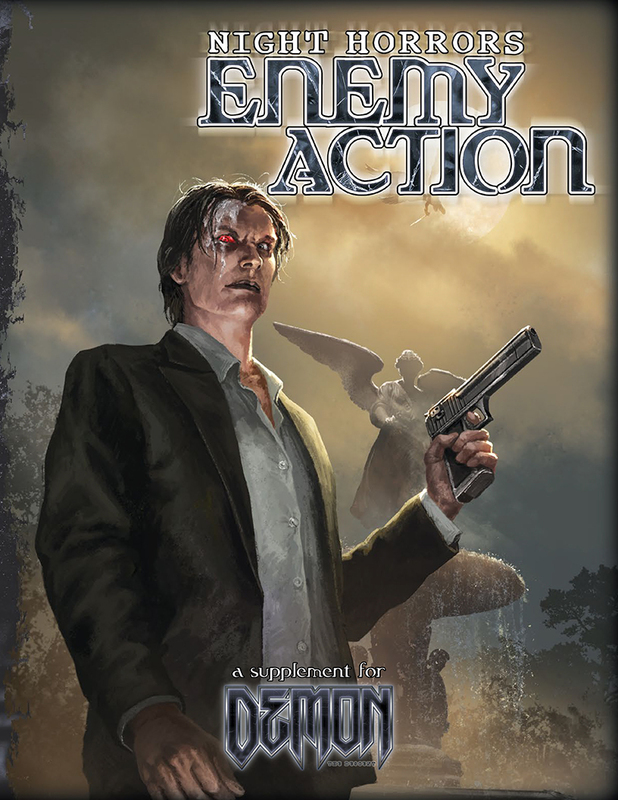 I am very excited to see that Enemy Action is coming out this week. I have always enjoyed the Night Horrors series, and I really enjoyed working on this one. I can’t wait to see what everyone thinks of it. Thank you, Matt McFarland and Onyx Path, for giving me this opportunity. 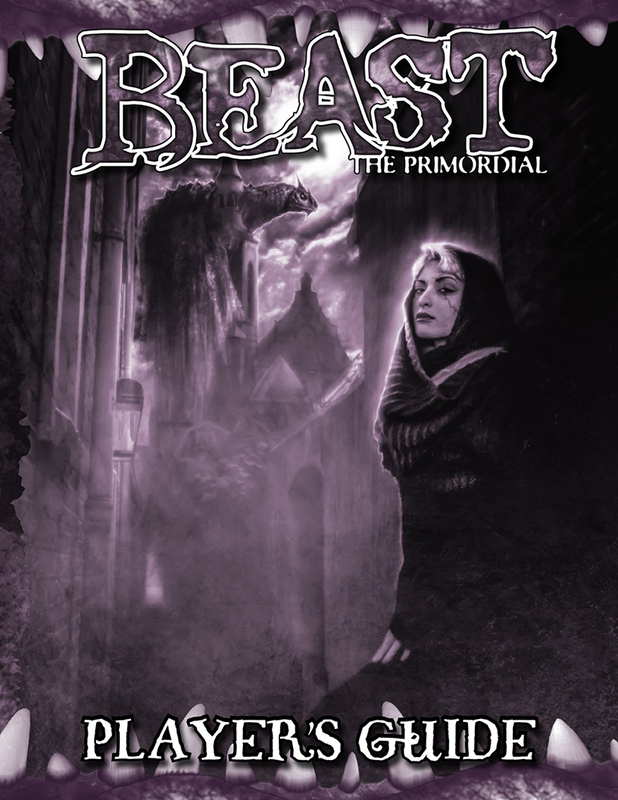 I’m also quite excited for the Beast Players Guide, but I don’t have any of myself invested in that one. Can’t wait for Deviant to get it’s own thread. Maybe that’ll happen soon now that it’s actually in first draft. I would love if the Dragon-Blooded KS included an addon for a traditional-print of the EX3 corebook (if the finances can work… perhaps requiring a stretchgoal or something). I’m extremely wary of buying such a large book from POD due to binding stress.